After five weeks of trimming sails on other people’s boats, I couldn’t wait to get out and pull the lines on Gimme Shelter … and we couldn’t have asked for a more beautiful February weekend. 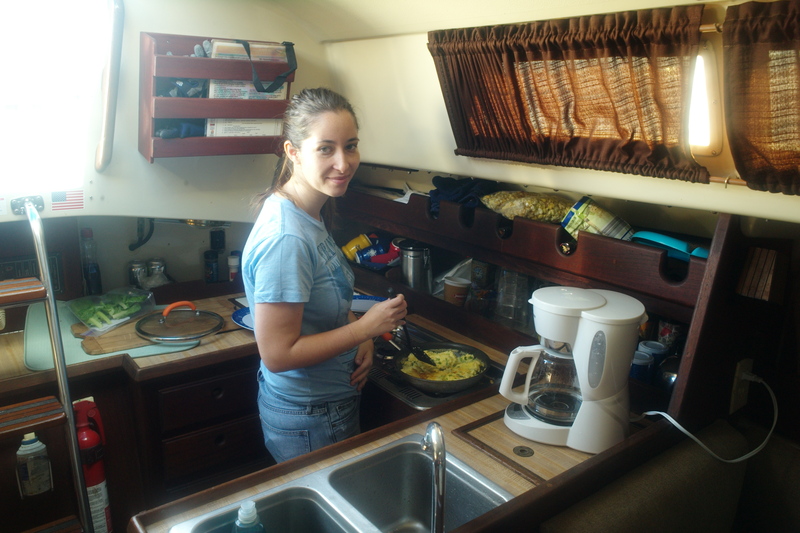 However, we couldn’t skip the most important meal of the day, so Mary fired up the Origo and made some eggs. 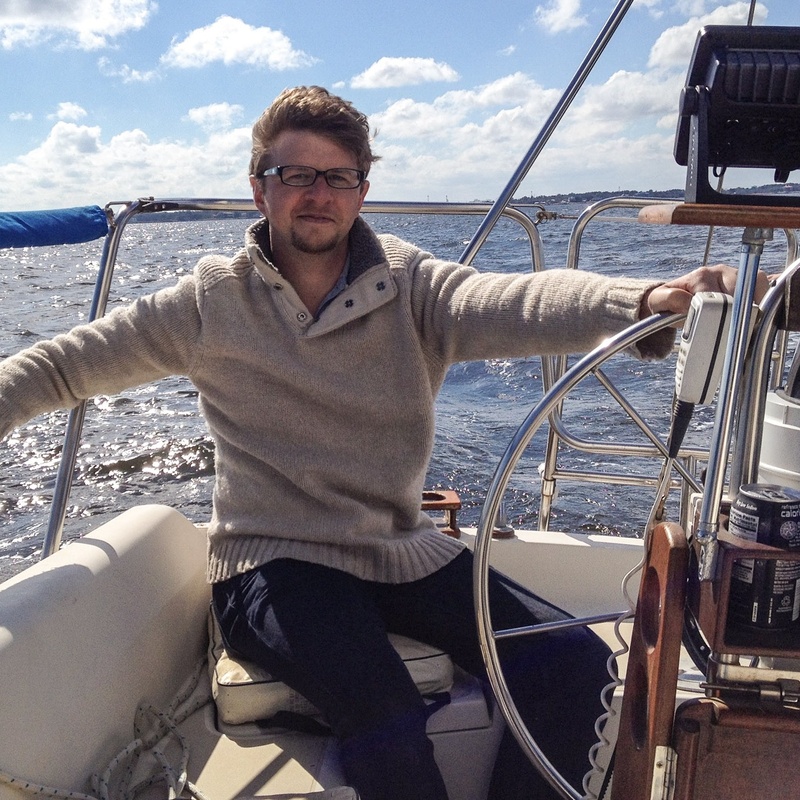 When we left around noon, the sun was shining, winds were a steady 10 knots, and the thermometer was hovering around 65. 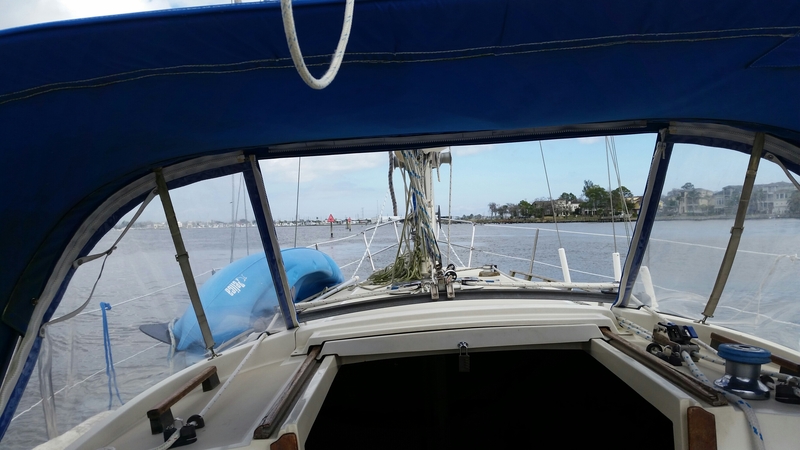 Our original goal was to sail to Redfish Island and then anchor for a picnic, but with a prevailing south wind, and no real desire to beat hard all afternoon, we ended up just practicing adjusting sail trim and tacking back and forth across the bay instead. The dogs, as usual, were not impressed with the magnificence of the open water and settled in for naps. 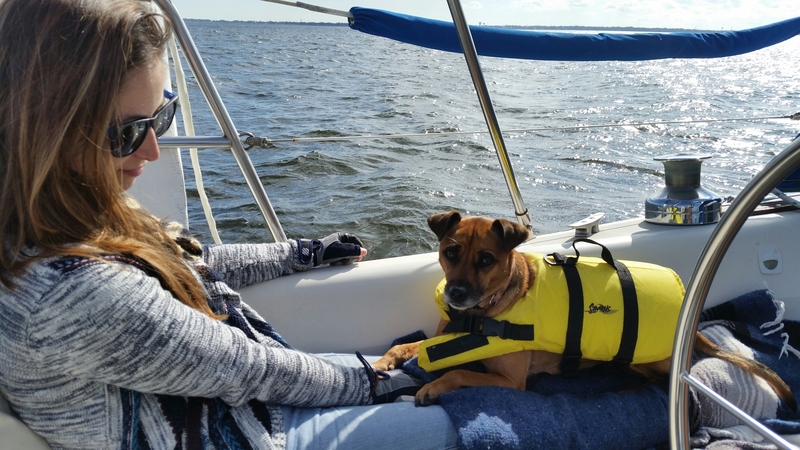 Dixie Belle has fallen off multiple docks and multiple boats in the past few months, so just to be safe we put the life jackets on the dogs. Dixie actually likes wearing clothes, so she’s always excited when we pull them out. 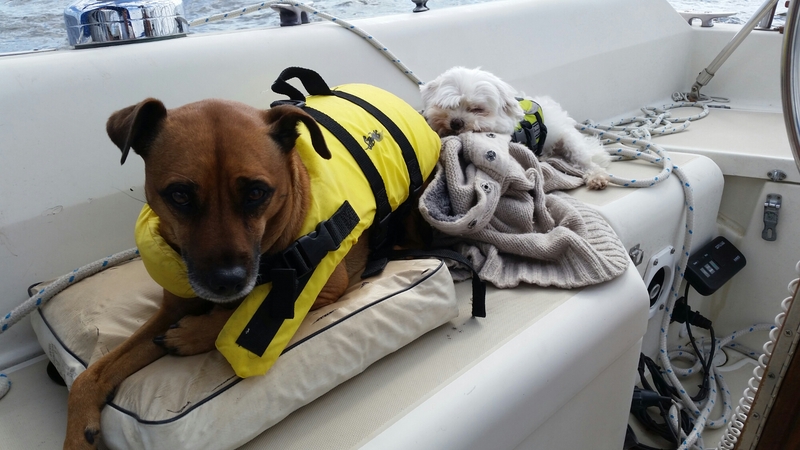 However, Tex HATES his life jacket and basically just mopes the entire time he has to wear it. 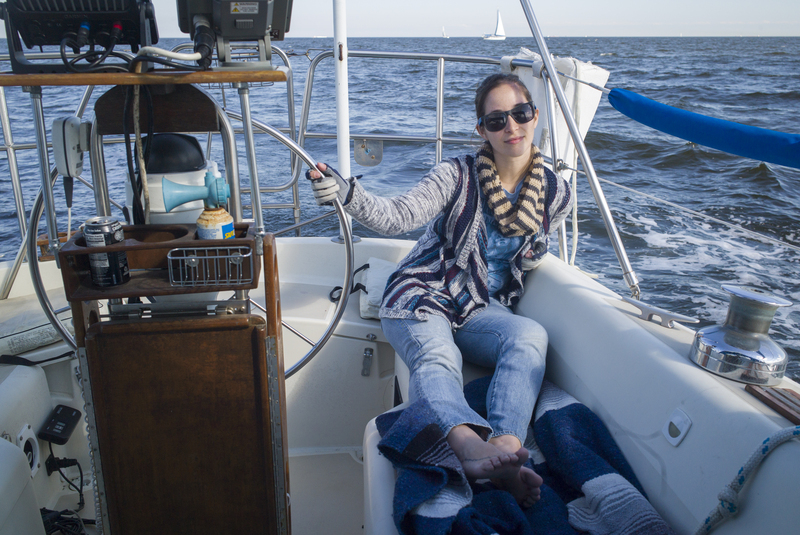 Mary spent some time at the helm while I raised sails. 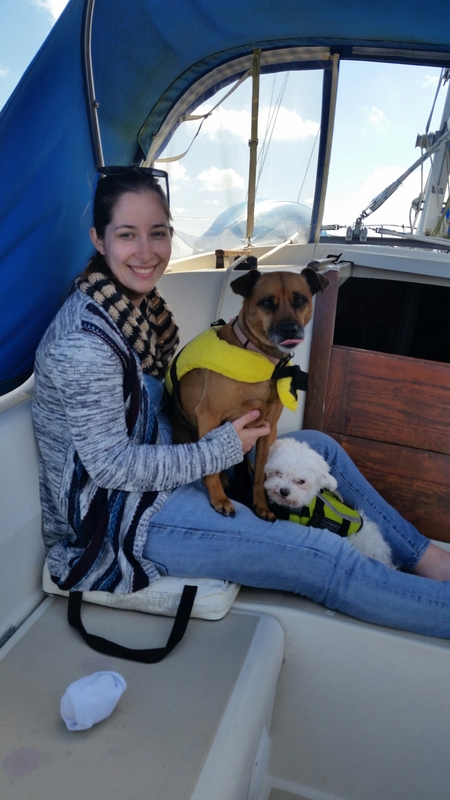 It was the first time I’d gotten to play with the whisker pole on our boat. It’s not new, I just didn’t know how exactly to use it before crewing with other people. 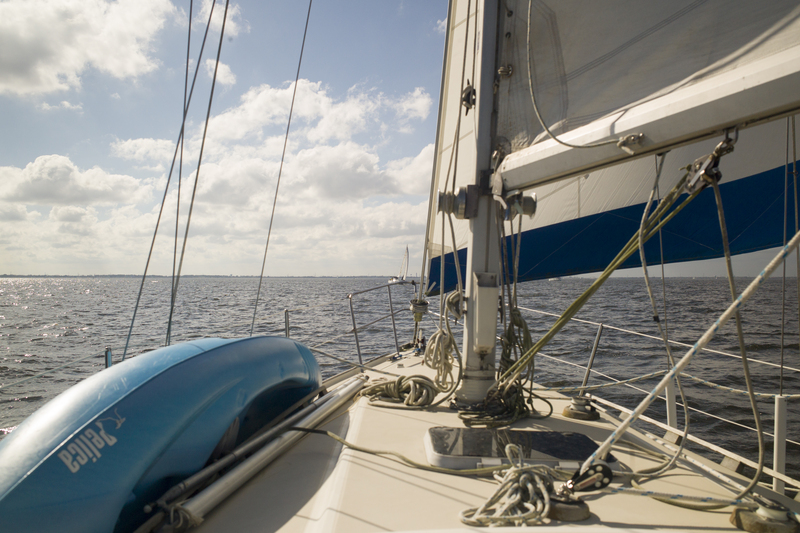 The whisker pole was never discussed in Basic Keel Boat Sailing 101. I’m still trying to decide if I want to add a spinnaker crane to the masthead and rig another halyard for a drifter or not. After a couple tacks, Mary and I switched jobs, and I went back to the helm while she pulled lines. This was my first trip out since installing the new Garmin GPSmap 741x, and I have to say, I really like it. I noticed that along with my speed and heading it also gives me the battery voltage. That’s actually quite a handy feature. I can tell when the alternator is charging, and I can tell when we need to shut off the refrigerator because the batteries are too low. Although it was seasonally warm, it’s still February, so when the sails were blocking the sun, it got a bit chilly. Luckily Mary had no shortage of dogs willing to snuggle with her. 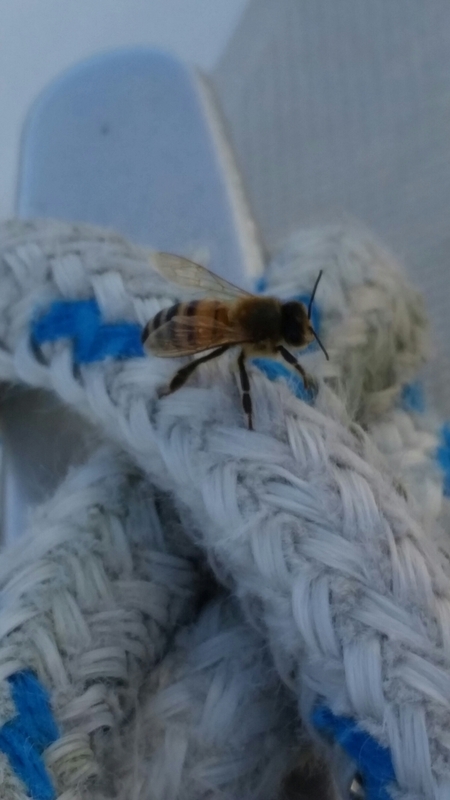 One of the more interesting moments of the sail was when I went to trim the jib, and I found we had a honeybee on the line. I have no idea what inspired him to fly out into the middle of the bay, but he seemed quite tired and not the least worried about me messing with the lines. In fact, I managed to untie the line, trim in the sheet, and re-tie it without him ever flying away. He rode along with us for about 20 minutes, then I looked back over, and he was gone. I hope he made it back to shore. 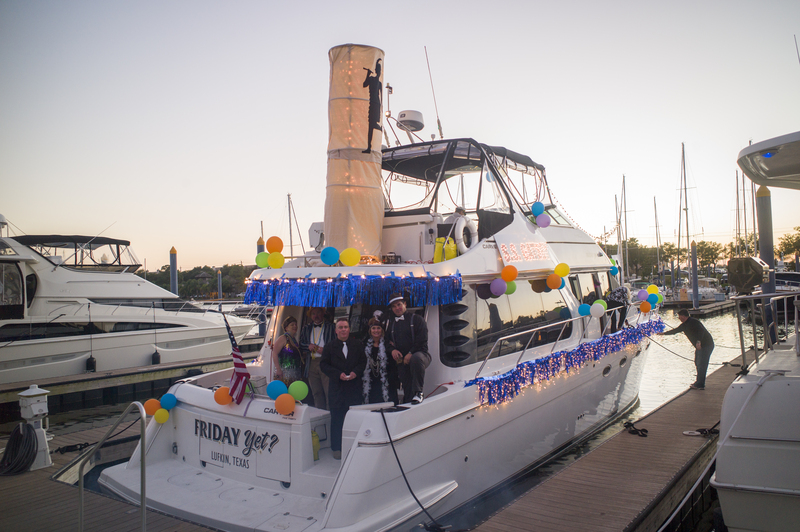 Saturday was “Yachty Gras,” the name Kemah gives to its Mardi Gras boat parade, so we headed back to the marina around 4:00, so we wouldn’t miss it. Our neighbors on Friday Yet were in the parade and spent the entire day decorating. Their krewe theme was The Great Gatsby. Their makeshift steam pipe on the upper deck not only lit up, but it also made steam. 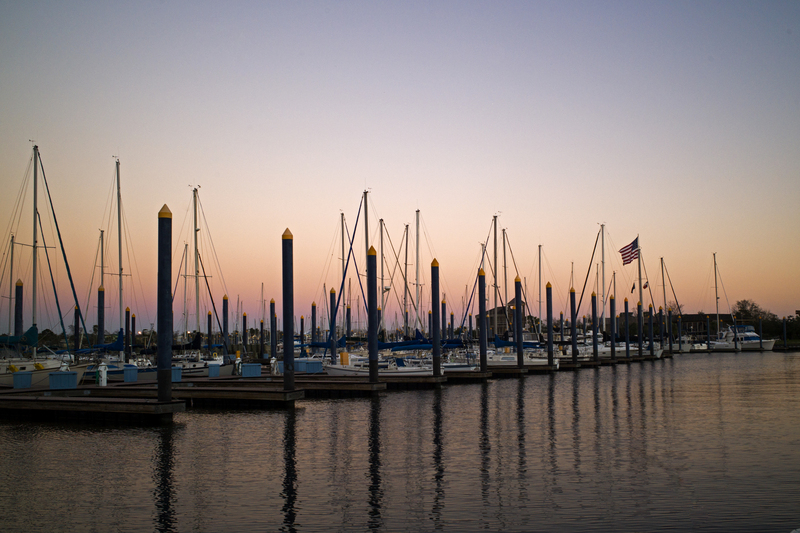 We spent the rest of the evening grilling burgers and enjoying the sunset with friends. Hopefully we’ll get to do it all again next weekend.